My co-worker who I refer to in this blog as Jim in order to protect her identity is actually named Jem. When I first met her in my 2nd interview, I assumed she was named for Jem and The Holograms. She reminded me she wasn't born in 1988 and there's a much more famous Jem. Who's actually a boy. 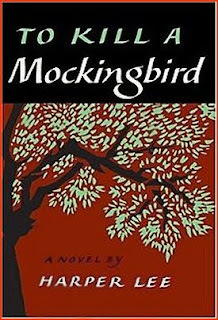 Jem is one of the fascinating characters in To Kill A Mockingbird by Harper Lee. A book that should be required reading for every child stuck in a pretend world of daisies and cowboy fights. For every adult too. I don't know what it is about PBS, but I always come back. Perhaps Grover was using subliminal messages while I learned lessons about collaboration. Nonethe... my season pass is already in place for this year's Masterpiece Classic. Every Sunday night, 10 new adventures as previewed in the video above. Rupert Penry-Jones appears in 2 of them. Yes boys, THAT Rupert Penry-Jones. You're welcome. Confession. I adore Christina Aguilera. I love her when she's stuck in a bottle or missing most of her pants or a mom with playdates. As long as she's singing. She sang "Lift Me Up" a single from her upcoming album at the Hope for Haiti Now telethon on Friday. And whatever it is, she brought it. Hey Jamie, thanks for following my blog! I hope you enjoy it. Feel free to join the conversation anytime. I always like connecting with new readers. I've never read 'Mockingbird' but I find to be very watchable as a movie! M@TCoNP: Thanks for stopping by! I'm really liking your blog...I will try not to be a lurker!